Me and Thomas had a wonderful time shooting the wedding of Ben and Katherine in New York north Manhattan in Fort Tryon Park and the Church of the God Shepherd. 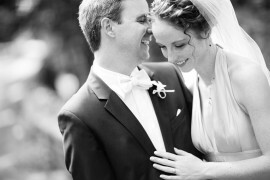 Check out Thomas images from this New York wedding. Thomas Ljungberg and I shot the wedding of Jana and Jonas at Djursholms kapell and Villa Pauli in Stockholm. In the morning we joined Jana at Rabi Rabi, where the hairdresser (Bengt Arvidsson) and makupartist (Susanne Persson, Manasi Makeup) made a wonderful job, Jana looked stunning! The final image was shoot with a 5DII ,24L and a 580II geled with full CTO filter. © 2019 Bröllopsfotograf Markus Dagnell Stockholm|ProPhoto Blogsite by NetRivet, Inc.